This pocket-sized, graphic novel series howcases a variety of Jeffrey Brown's all-new experimental comics. 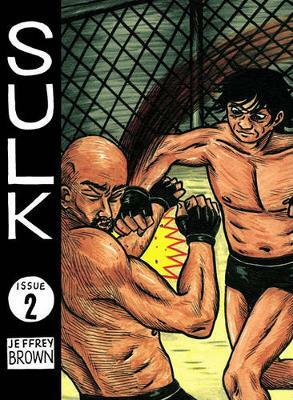 In Sulk Volume 2: Deadly Awesome, Jeffrey Brown explores the world of mixed martial arts and the nature of violence in this tribute to no-holds-barred fighting. In an 80-page fight scene, aging veteran fighter Haruki Rabasaku faces off against young powerhouse Eldark Garprub. With furious striking and technical submission wrestling, this story will entertain readers unfamiliar with the world of cage fighting as well as long-time fans of ultimate fighting.